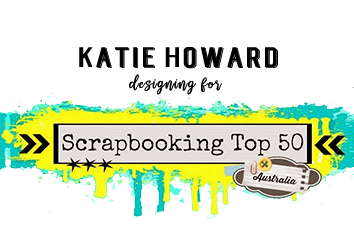 So, I have only just finished the June challenge and here I am back with the July challenge! 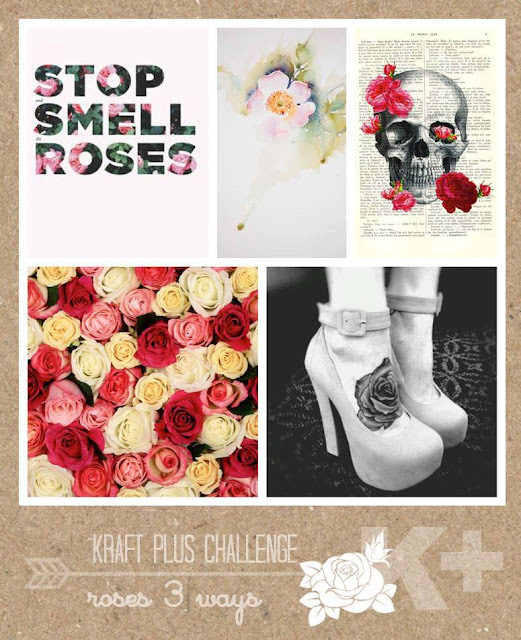 This month is an interesting challenge to use roses three ways. So can you pick my roses three ways? 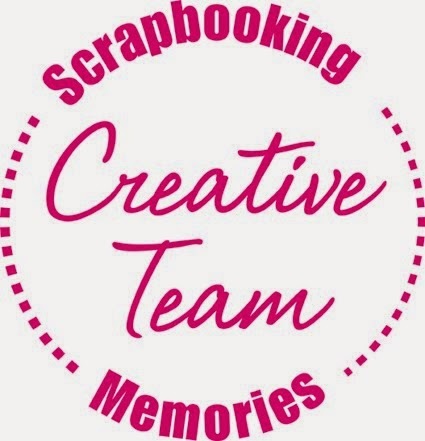 I firstly used a rose stencil on the background with distress oxide ink, I just love the soft, chalky result of this ink. Second, I stamped roses on paper and coloured them with Colourblast shimmer cubes and then cut them out, and then lastly I turned a Charms Creations "O" into a rose with another stencil and Colourblast texture paste. I really love how the big rose turned out! Here is a close up of the Charms Creations rose, you can find "O's" in the shop here. And here is a close up of the stamped and coloured roses. 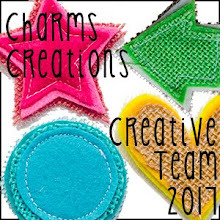 Charms Creations is a sponsor this month, so make sure you have a go so you have a chance to win some goodies for yourself! 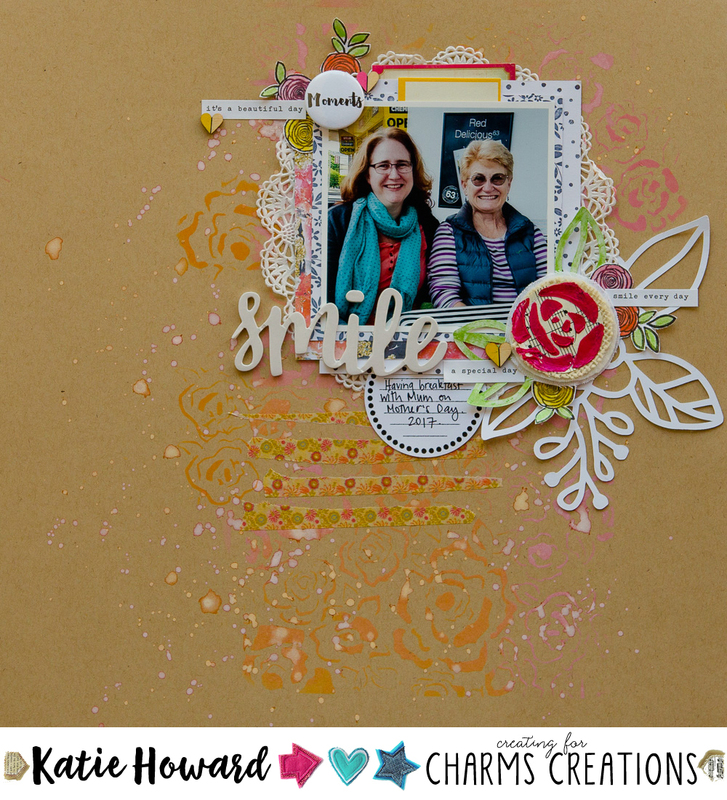 Thanks for playing along Katie, your layout is brilliant...so creative and clever with the roses. 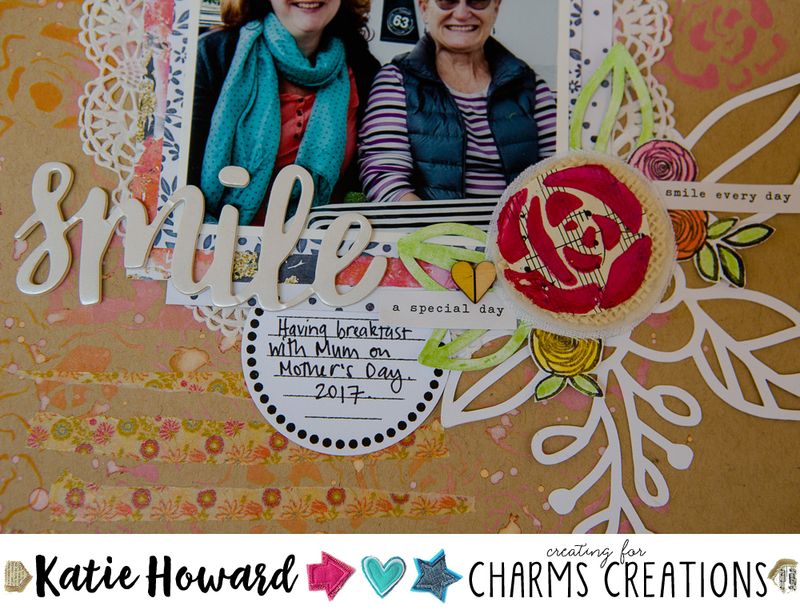 Love the background stencil work, the coloured roses and the altered Charms Creation embellie. Beautiful work! An eclectic and gorgeous page - love the use of torn strips, the stamped images and that altered Charms embellie. This looks fantastic, I love all the ways you have used roses on your layout.. love the rose washi too.. thanks for joining in with Kraft+ this month! Hi Katie, I just love your layout. 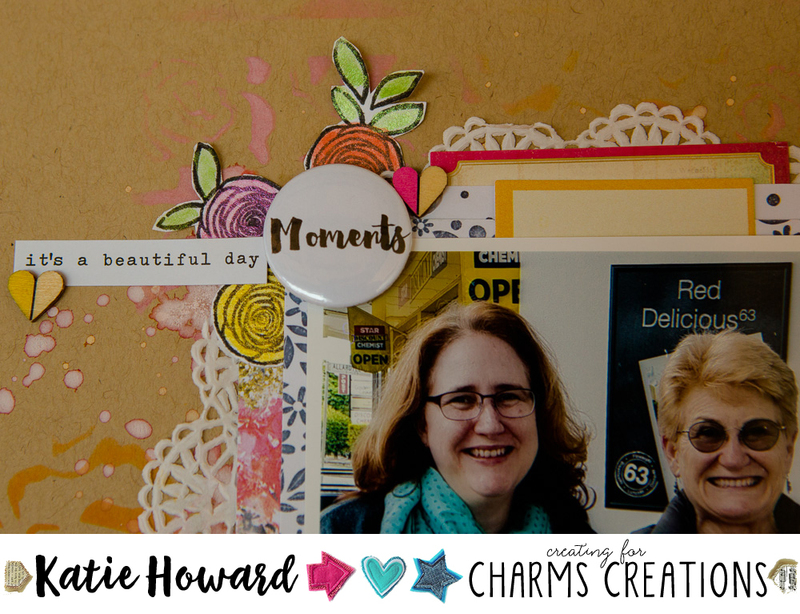 Love those cute little flowers tucked behind the flair and the background, all awesome! Thanks for playing along again this month.